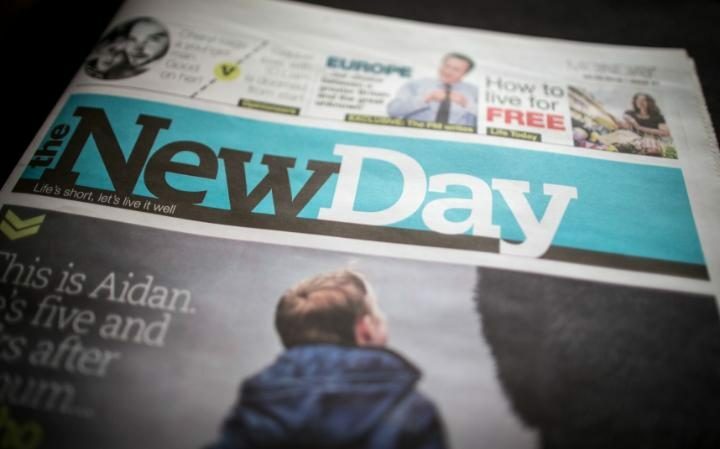 Trinity Mirror is canning its cheap newspaper New Day just two months after it launched. This is probably the right thing to do. You can lose fortunes and spend years of people's lives trying to prove that a hunch was right. Believe me. I know. You can say it didn't live up to expectations, but that rather assumes that people are bothered enough to have expectations. You only have to see how the newspaper kiosks that used to be a feature of all London tube stations are now either closing or turning themselves over to selling confectionery to note that most people are not in a position to turn to a new newspaper because they long ago stopped buying an old one. I noticed this in the world of magazines more than ten years ago. People stopped trying new things and they certainly stopped paying for new things. I bet New Day didn't fail because the publishers were disappointed how few people stuck with it. I bet it failed because not enough people tried it in the first place. Sorry but that's gibberish. It failed because it was a print newspaper. People haven't tried newspapers? They did. Then an easier way to consume news came along. This is a print newspaper that decided not to have a website. So even if it got great stories - people couldn't show other people. This is a newspaper that decided to have a Facebook presence but because of that lack of website it had no links it could share. Instead it was reduced to asking "what do you think of.." like a regional talk radio show. Unsurprisingly no one shares questions so they reached few new readers. Stop blaming people for not buying something that other people really want to sell them. I keep reading that Trinity Mirror tried something - as if newspapers hadn't been tried before. People don't try anything new? What's new about a newspaper? David, do you think its failure might also be down to its parent paper, the Mirror, already being a pretty quick read, meaning that they had to market New Day as a very separate entity, with its Guardian-style font? They were working from a standing start, whereas the comparatively successful "I" could always claim to be a distilled version of its broadsheet parent? That's hit the nail pretty squarely on the head. I look at the newspaper stands in my local shops so rarely I only saw that New Day even existed last week, and then wasn't tempted to buy it as I get more than enough news elsewhere. I'd never even heard of it until your article. So not surprising its folder. I never saw it either. I may well have given it a coat of looking at. In the same way as I missed the short lived Sunday Correspondent, Sounds and shortly the a i, I look for something a little unusual when it comes to papers and periodicals. Give it ten years David and print may well surprise us all and make a comeback. Some people are missing the argument. It's not whether New Day failed to market itself on social media or pushed itself badly on a physical news display. It's not just that New Day was a physical newspaper. The argument is that it is bloody hard to find readers for a new publication. For every Vice and Verge, there are dozens of failures. And there will be fewer Vice and Verge successes in the future. Facebook and the like are determined to obstruct it. I avoid the news. It's mostly depressing, non-news and puff pieces. It gets harder to avoid every day though. News pops up on unrelated website pages, big screens at the train station, even random screens at the office. I feel like Bob and Terry in the Likely Lads, trying to avoid the football score. In this environment there is no need to seek a print newspaper.